Only a 60-foot stretch of slick wooden planks separated the staredown between Raymond Felton and a set of bowling pins. All eyes were on Felton when he took his first attempt of the night. 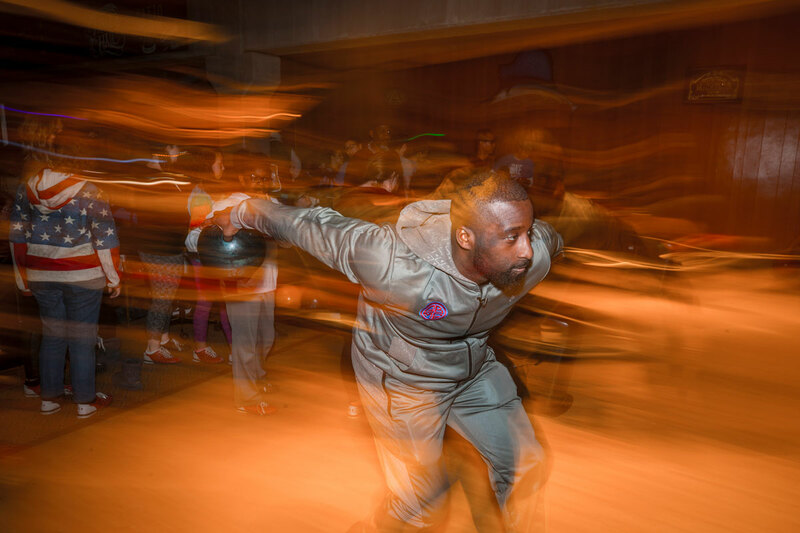 Shimmying his hips before he took the momentum-generating steps toward the foul line, Felton then unfurled a gliding 13-pound orb of swirling gold that hurtled down the lane like a meteor. The pins violently flew into chaos detonating a cacophony of whoops and cheers. Strike. Tuesday evening was filled with thunderous crashes along with high-fives and fist pumps at Dust Bowl Lanes during Felton’s Holiday Festival where matches from Big Brothers Big Sisters (BBBS) of Oklahoma reveled in gifts, food and fun. 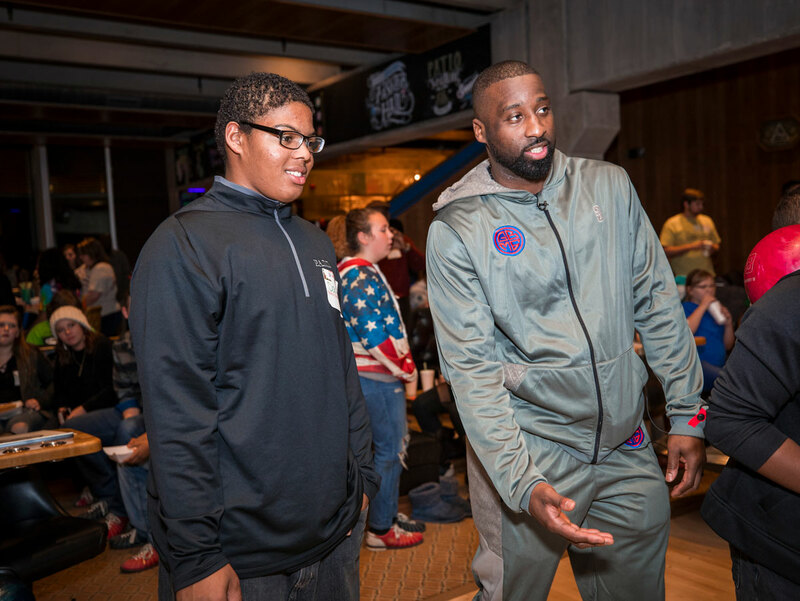 Serving as a long-time ambassador of the mentor network since coming into the NBA, Felton wanted to continue his work with the children in Oklahoma City. And throwing a party at the local bowling alley provided him the chance to connect with the youth while delivering some holiday cheer. Aside from his family, Felton’s passion for working with young people stemmed from the coaches he had growing up. Working as a mentor for BBBS was a way for Felton to honor the people who have made a difference in his life. 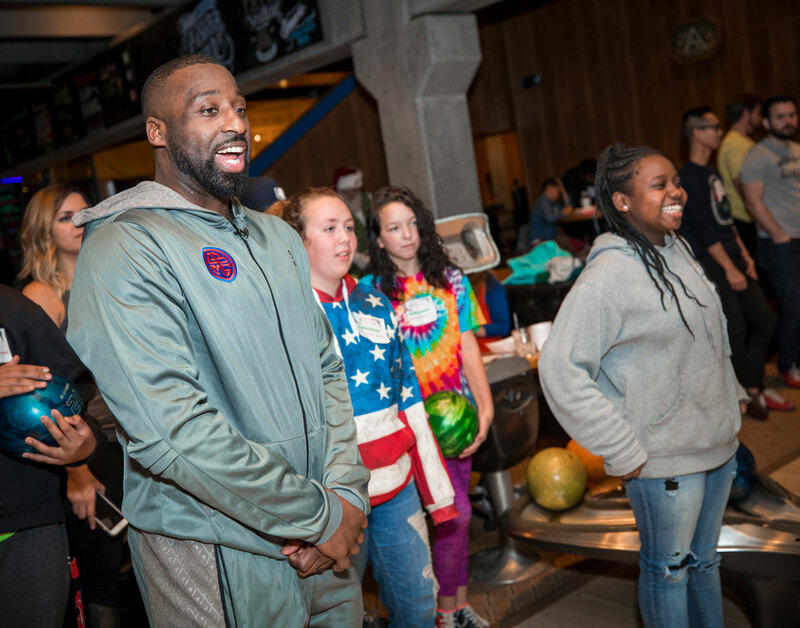 True to his modus operandi, Felton reached out to all of the youngsters to tweak their form or engage in small talk while taking photo ops all night long. For Felton, setting a good example for the future by being a good role model went beyond strikes and spares. Watching Felton work with the aspiring Strike Queens and Kings on hand stirred emotions for Big Brother James McQuillar, who have been mentoring the youth for 40 years.